Dalat, a beautiful city in Lam Dong province to the south of Vietnam. 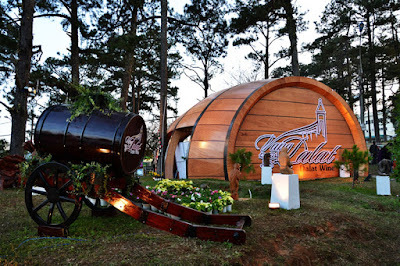 Being located in Lam Vien highland, Dalat is famous for moderate climate, the various kinds of flower, fruit and wines. In this post, Vietnam Famous Destinations would like to give you some information about Dalat wine. Along with many mountains, valleys, lakes, cool highland climate as well as French-style architecture of villas, hotels, Dalat wine may be the last bright drawing to complete the “little Paris” picture here. Like other wines in the world, especially French wine, Dalat wine (ruu vang da lat) is slight alcohol made from fresh fruits such as: grapes, strawberries,… Vang Dalat ( Dalat red wine) uses table grapes from nearby Phan Rang - a Vietnam's main grape-growing region. It is the natural color and favor of fruits that attract millions of domestic and foreign clients travelling to Dalat each year to enjoy that wine. Imagine that you and your family, lover or friends in cool climate sit together, enjoy the aroma of wine and taste the sweet, sour and a little bitter favor in your mouth. What a charming feeling! Wine making is a strict and complicating process with many stages from growing grapes-bunch, harvesting the grapes, crushing, fermentation,… Among of which, the fermentation may be the most important stage. If it is conducted well, the wine will keep the the natural favor of fruits otherwise the color of wine can be changed as well as cannot be kept in long time. 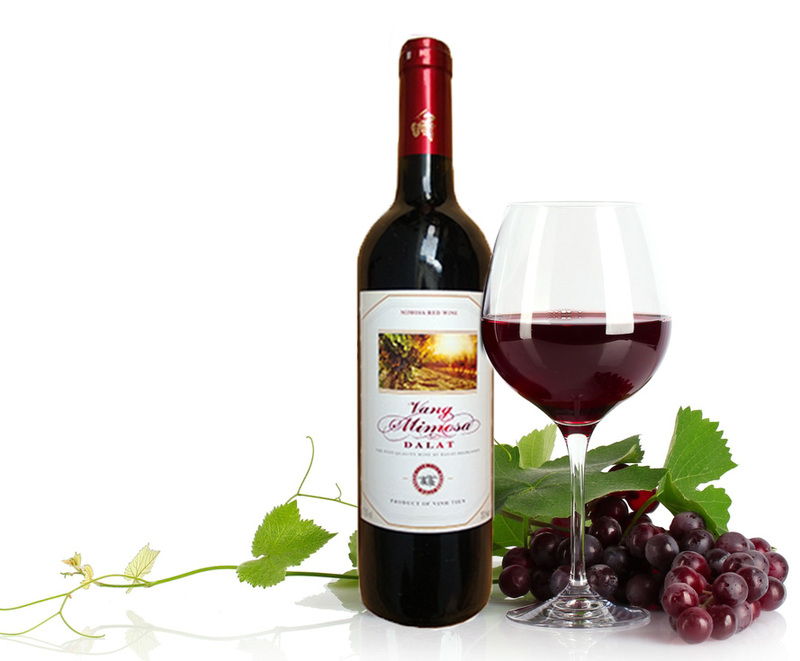 Dalat wine attracts customers by not only well taste and good drink for people’s health but also suitable price. By paying the price about less or more one hundred vnd, you can bring home an excellent bottle of Dalat wine. According to Nguyen Van Viet who has been with his wine company since 1999 explains that Vietnam has a limited history with wine. The French introduced an elite wine culture pre-1954, and during the past decade, because of the improvement in living standards, more people fond of traveling overseas and being exposed to foreign wines. With this in mind, Viet considered how Vang Dalat could produce a European-style wine similar to traditional Vietnamese wines that any family could afford. Nowadays, Dalat wine, in Vietnamese drink culture, has become popular more and more. People use it in daily meals, parties, on special occasions or even in some national meeting, making it to be the pride of not only Dalat residents but Vietnamese as well. What food to try in Halong Bay? Where to go while in Ha Giang ?